With Apple’s unprecedented public promise to develop an expandable high-end Mac Pro, what might we look for? 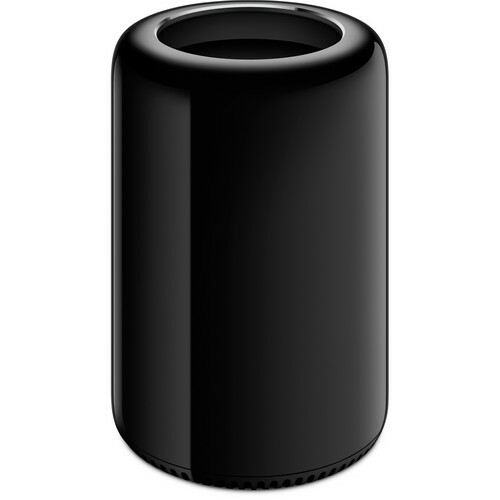 The late 2013 Mac Pro was a major changeover, favoring a tightly integrated whisper-quiet and diminutive form factor by eliminating nearly all the things that made a Mac Pro “pro”. Many former Mac Pro users have considered the late 2015 iMac 5K as a viable alternative, but it still has serious limits even if CPU/GPU/memory are otherwise adequate: cooling and cleaning of an iMac rule it out for demanding workloads, and cat owners would be wise to take care for dander buildup internally. It seems likely that a late 2017 iMac 5K or 8K might well out-pro the 2013 Mac Pro, bringing memory parity, GPU superiority, Thundebolt 3 (2 busses perhaps?) and so on. It will be a curious state of affairs until a real 'pro' Mac Pro finally appears. Dual CPU support still matters for many tasks, particularly server loads. Given the stalled-all performance of single CPU cores today and the continuing instability of GPU-based software, dual CPUs would be a welcome, and are needed for server type workloads. It’s all about bandwidth, or CPUs and GPUs can stall: solid state storage, ample memory, PCIe slots, multiple Thunderbolt 3 busses, 10 gigabit networking. Internal SSD or Optane drive options up to 8TB, option for 2nd SSD with same capacity options. Support for GPU of choice, and more than one GPU. At least 8 memory slots supporting at leat 128GB memory, preferably 12 slots for up to 384GB. At least eight Thunderbolt 3 ports, on 4 busses. And not crammed tightly together. Support for maximum speed PCIe cards, with at least two available slots. Support for at least one 8K display, three 5K or two 6K displays, along with HDMI 2.0 or later. Space for at least two internal hard drives, thus allowing 20TB internally in addition to the SSDs. Don’t make me dangle dongles: 4 USB 3.1 higih speed ports and SD card reader slot. To do these things, the form factor will have to be much larger than the 2013 Mac Pro, one way or another. Apple might be able to engineer a modular system to cut down the size, say via expansion boxes connecting directly to the PCIe bus. Some kind of stacked design might do the trick, one on which CPU and memory and default GPU are in one sub-unit, with PCIe slots and cards in another. Looking back, the original “cheese grater” Mac Pro was a design of true excellence: superb function in an attractive if bulky form. But much of its bulk came from housing hard drives and CD/DVD drives internally—that need is gone; all of those things can hang off the Thunderbolt 3 bus. Accordingly, a new design can focus on housing just memory, flash storage, GPU, simplifying the design. PCIe slots could be delivered via an add-on box that direct connects to the PCIe bus. A very powerful and well cooled tower design should be possible in about 1/2 to 2/3 the space of the old model.